What Can a Pergola Do For Your Outdoor Space? Looking for pergola specialists in San Antonio? We’ve got your back. 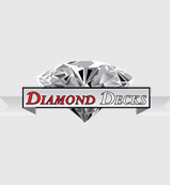 Diamond Decks specializes in all kinds of outdoor additions–from decks, to patios, to stamped concrete, and, of course, pergolas. Your yard should be a place you want to spend a lot of time in. Many people don’t take advantage of their outdoor spaces because they don’t see their value. Nothing beats kicking back to relax on a beautiful outdoor deck with friends and family. 20 Reasons Why Your New Outdoor Deck Will Be a Hit!